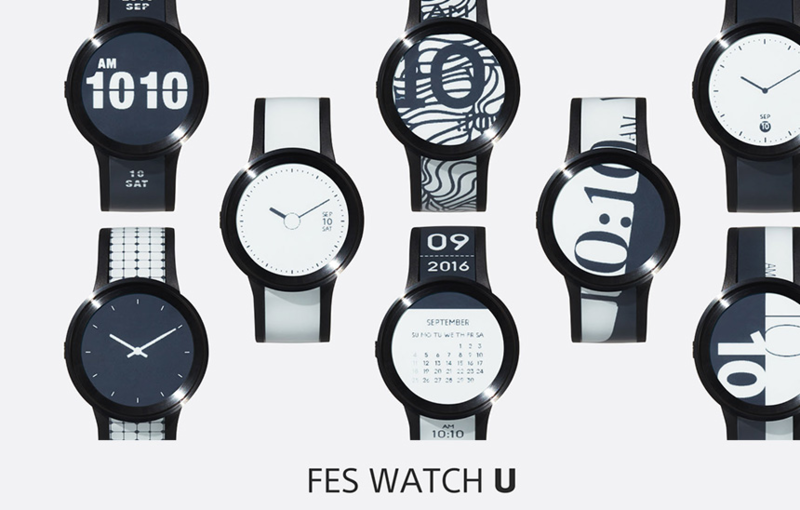 Sony FES Watch U is such a fun e-ink watch, we wish it was smarter! The very first e-paper FES watch made by Sony, was only every released in Japan. Now though Sony is having another go with the Sony FES Watch U. First shown at IFA 2016 in Berlin, it has gathered quite a lot of attention for its unique take on a smartwatch. The watch is all e-ink display, which continues onto the actually watch strap as well. So for example, the time, of course, is shown on the actual watch face, then on the strap, the date is shown. Due to using e-paper technology battery life is quite impressive, with three weeks being possible. The watch is waterproof, and you can buy the watch in either premium black, silver or white versions. The problems is, this is about where the watch ends. It really only shows the time and date. Make it smarter, like notifications showing up and perhaps allow you to put your own design of watch faces, and there may be a generally compelling reason to get this. Activity tracking and sleep tracking are all the norm these days, yet this is all missing. For all of this, the cost of this watch is a little steep. The very cheapest model, the silver and white model will set you back about $485, with the premium black version setting you back about $585. The compatible app for the watch is also only available for iOS users, so no Android compatibility here, although the Sony rep at IFA 2016 has confirmed one is coming. This is interesting as Sony makes Android-based phones. The FES Watch U is on the crowdfunding site First Flight until the 7th October so if you are feeling like supporting just head over there. However, this watch seems like it is just a little fun project by Sony. If they just added some useful features, they might be onto something with this watch. At the moment, you just get something a little different, that you can display one of 24 different designs, which you can change as you please. Time will tell if Sony decides to seriously push this product, and release it to the world.